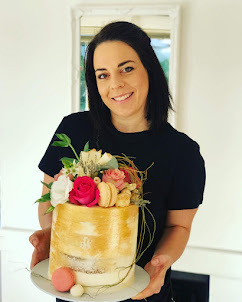 I made this pretty three tier cake for a Birthday in Philadelphia, Durbanville last weekend. 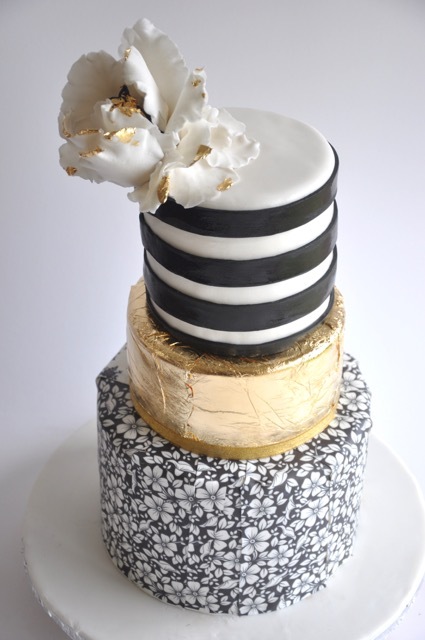 The black and white striped cake tier was almond and white chocolate cake. The Gold leaf cake tier was red velvet cake and the black and white patterned cake tier was a decadent chocolate cake.